Post herpetic neuralgia is one of the most severe forms of nerve or neuropathic pain. You may experience relentless burning, sharp or stabbing pain in the area where you had a shingles rash. Post herpetic neuralgia is the result of infection with the herpes zoster virus, which lays dormant in the spine and can be reactivated, usually in later life, as a result of infection, immunosuppression or other causes. The herpes zoster virus causes irritation and dysfunction of nerves leading to this most painful of conditions. Post herpetic neuralgia is not only very painful but can be very disruptive to your daily activities. The local painful area can also be extremely sensitive to slight touch or temperature changes making wearing clothing, showering and other simple activities unbearable. Our renowned expert second opinion service. Post herpetic neuralgia should be treated as soon as symptoms appear. 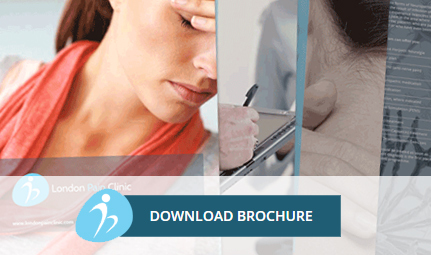 An expert diagnosis is the first place to start to plan an effective treatment programme. Dont let your pain remain untreated or poorly treated. To begin your recovery, please call us 020 7118 0250 or email the London Pain Clinic.